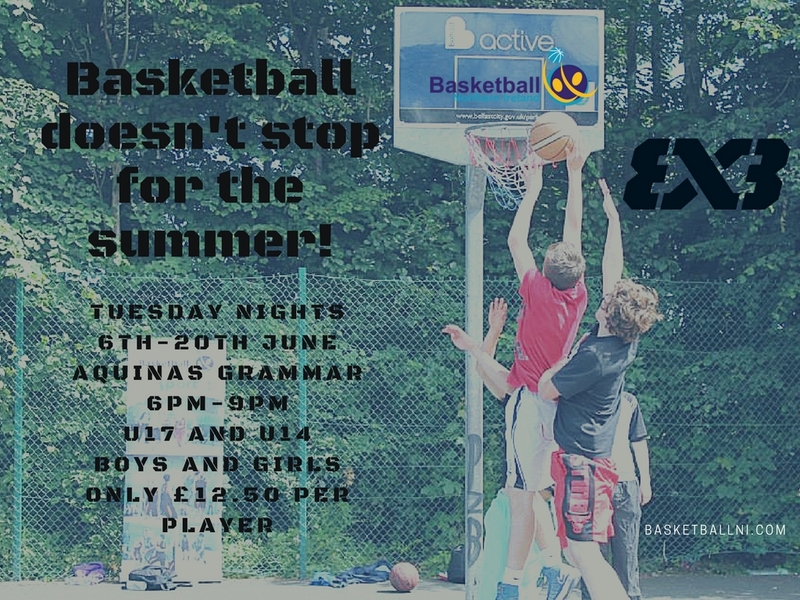 Basketball NI are starting the summer programme with a 3×3 competition which will have cash prizes for adult sections and superb vouchers and apparel for juniors. The tournament will be in Aquinas on the outdoor courts. Starting on the 5th of June and, dependent on weather, finishing three weeks later. 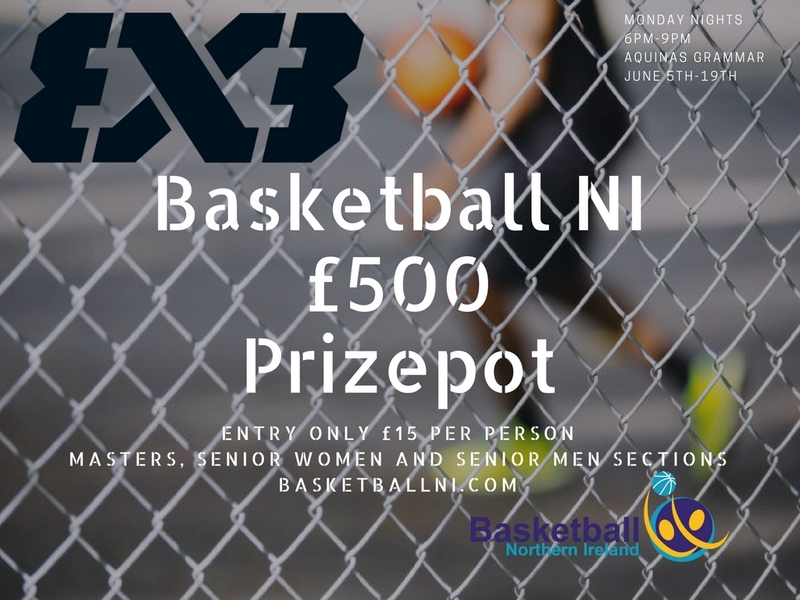 This will be a first outdoor programme for 2017 and BNI would appreciate any feedback so they can expand to a regional competition, mixed competition or even an older masters section.